WELLINGTON, New Zealand, July 6, 2017 (ENS) – New Zealand’s publicly owned forest parks and other conservation lands cannot be disposed of for private development interests, the country’s highest court ruled today. In a 3-2 decision, the Supreme Court confirmed that the Minister of Conservation acted illegally by trying to make part of Ruahine Forest Park available for exchange to a dam company, which would flood it. The ruling blocks the proposed Ruataniwha water storage dam on the Makaroro River planned by the Hawke’s Bay Regional Investment Company Ltd for irrigation of farmlands in Central Hawke’s Bay on the North Island. 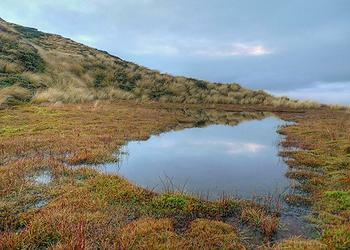 The dam would inundate 22 hectares of Ruahine Forest Park containing rare wetlands and vulnerable species. In August 2016, the Royal Forest and Bird Protection Society of New Zealand, known as Forest & Bird, successfully challenged a Department of Conservation decision to downgrade the conservation status of those 22 hectares of the Ruahine Forest Park, so they could be swapped for private land and flooded. The company proposed to the Minister of Conservation that the 22 hectares of forest park be exchanged for a privately owned block of 147 hectares, the Smedley land, adjacent to the Ruahine Forest Park and currently being grazed. The decision of the Director-General to revoke the special protection of the land so this swap could go ahead was upheld in the High Court, but in August 2016 it was set aside by majority decision in the Court of Appeal. Minister of Conservation Maggie Barry, together with Hawkes Bay Regional Investment Company, sought to overturn that decision in the Supreme Court. 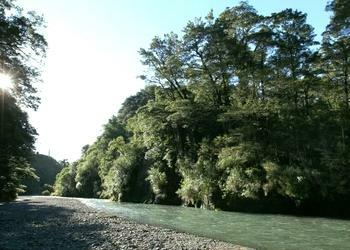 The Supreme Court ruled in favor of Forest & Bird, deciding that the Minister of Conservation was not entitled to revoke the special conservation status of Ruahine Forest Park land. Forest & Bird Chief Executive Kevin Hague called the decision “a major victory” for all of New Zealand’s forest parks and protected conservation lands. The 22 hectares of land that would have been destroyed by the Ruataniwha irrigation project has high conservation values, he explained. Within the dam’s footprint are habitat for a nationally vulnerable species, the North Island long-tailed bat, and declining species, the North Island fernbird and red mistletoe. “The government went all the way to the Supreme Court to allow the downgrade and exchange of part of Ruahine Forest Park, which would have led to the destruction of that land. The Supreme Court has confirmed that our forest parks belong to the people of New Zealand and are protected by the Conservation Act,” said Hague. But the Supreme Court decision is not the end of the matter for the New Zealand government, which has indicated it is prepared to change the law to overturn today’s ruling. “The appeal to the Supreme Court was not about whether the Ruataniwha Dam should go ahead. It was about obtaining clarity after differing and split decisions from the High Court and the Court of Appeal,” said Barry. “For the past 30 years we all believed that the legislation allowed the swap of a low value piece of conservation land for a piece of land with higher conservation values. The Supreme Court finding that the Director General cannot consider that broader picture has far reaching implications and we will now be working through the effects of that,” the minister said.